We already saw this scene referenced in one of the previous trailers, but this version has voice acting and a little more footage. In addition, there's now an official schedule for the next few videos, so we know what we can expect. With Sengoku Basara 4 Sumeragi now just one month away from release, new videos will be posted on the game's website every Monday, Wednesday and Friday. This schedule will continue until 19th August 2015 (except for 20th July 2015). 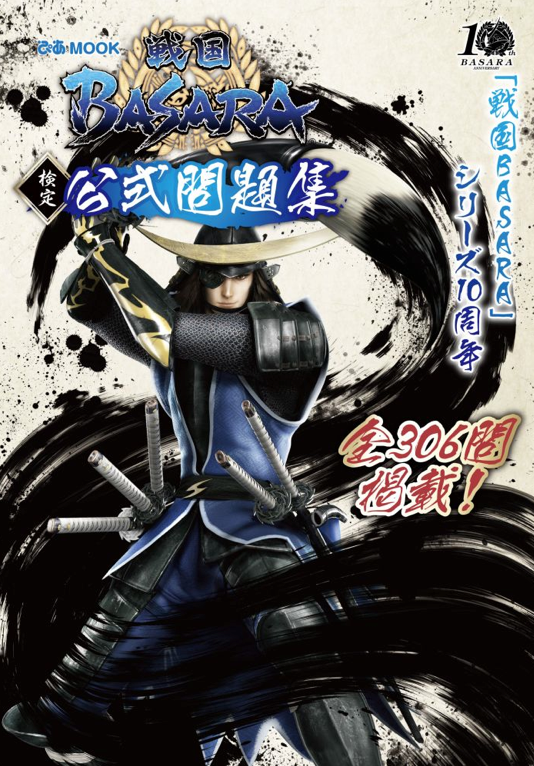 The Sengoku Basara Kentei: Koushiki Mondaishuu ('The Sengoku Basara Qualification: Official Exam Questions') book will be released in the next few days, so the store listings have all updated to include a more detailed description and cover artwork. The new description mentions that 49 characters will be profiled in the book, a total which includes the older characters like Nouhime, Ranmaru, Itsuki, Xavi, Ujimasa, Yoshimoto, Musashi and Kennyo who haven't been in the games for a while. It's also confirmed that content from Sengoku Basara 4 Sumeragi will be on the test. Perhaps there will be a few hints about Sumeragi in the questions from the book as a result...? The description draws attention to the fact that Masamune isn't wielding his starting weapon on the cover this time. Tbh I was really curious about them. I think we'll have to wait for release day to find out what on earth was happening in that crazy scene! I'd like to see the two of them have more interactions, too.